In these uncomfortable summer months it's a hassle to put on any face base, but at the same time my face is so splotchy that I can't go out without one. 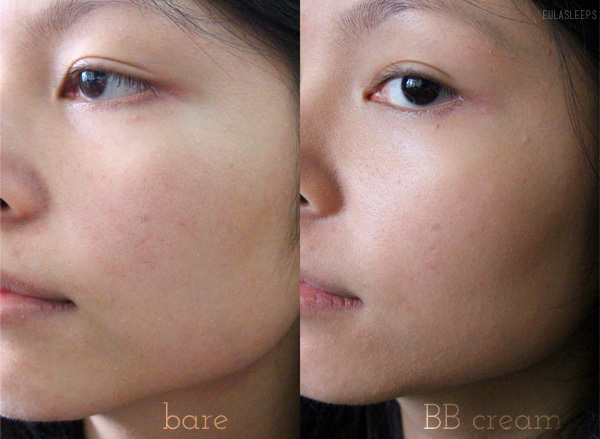 I love BB creams for this because they provide moisture and natural coverage in one step. 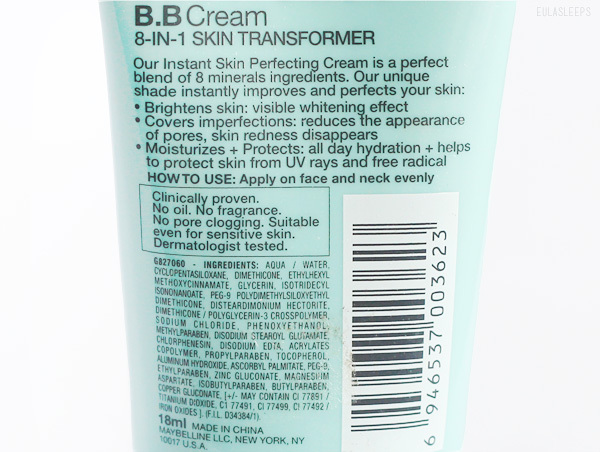 First formulated in 1960s Germany and popularized in Asia twenty years later, BB creams have been trickling into US brands only in recent years. 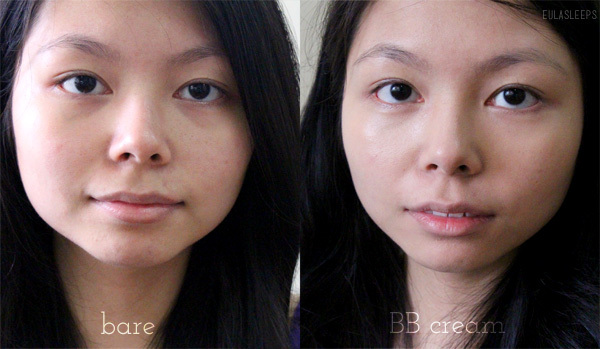 I find that Asian and American BB creams often differ in consistency and performance. 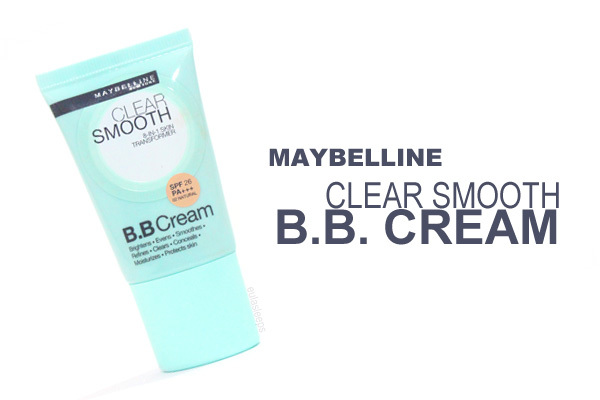 Click on to see how Maybelline's Clear Smooth B.B. Cream fares. I prefer bases with SPF, and this one has wide coverage with SPF 26 PA +++. I got the shade 01 Natural, a warm medium shade that sheers out to blend in with my natural skin tone for the most part. A slight gray cast is apparent if you look closely, but this is easily corrected with a touch of blush and lipstick. I've found this is the case with most BBs. It offers light coverage, minimizing redness and evening out my complexion. It's on the watery side when you squirt it out then dries quickly to a somewhat powdery finish. It clung a bit to the dry patches on my combination skin. It was too dewy for my liking so I topped it off with a sheer setting powder. Oily-skinned individuals will want to try something else. Here's the complete look. There's very little, if any, white cast under flash. 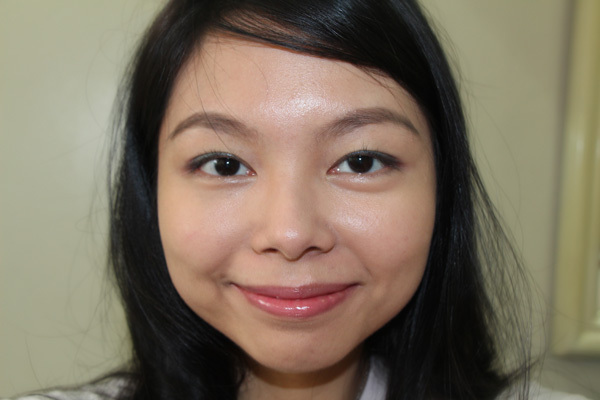 This water-based BB has dimethicone pretty high up on the list, hence the smoothening effect. I like how it brightens the face. It breaks down after about 3 or 4 hours; this is when the gray cast becomes more noticeable. Considering the consistency and coverage, I'd say this is more of a rebranded tinted moisturizer than a proper BB cream. 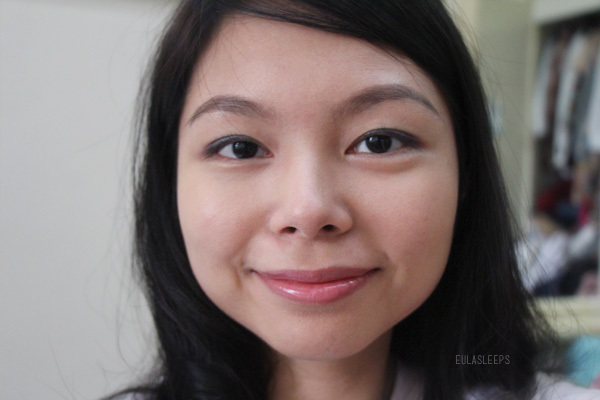 It's a decent face base for those who just want to even out their skin tone. The Maybelline Clear Smooth 8-in-1 BB Cream is available at Watsons and Maybelline counters for about PhP 250. This review contains sample products sent for consideration. Opinions are my own. I was not required to write, nor was I compensated for, a review.